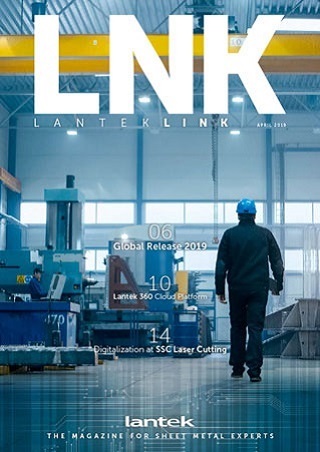 Lantek is world leader in revenue, customers, offices, sales & technical network, innovation and technological competence among software companies for metal industry. trust Lantek for their daily key operations: design, plan, and control their production with our software. Always close to our customers and partners, wherever they are. Lantek has local staff all over the world ready to help them to be excellent every day. Lantek optimizes the material yield and the quality of the results to the maximum. available for all our software systems and to support our customers and partners. We help our clients to digitize all their industrial processes effectively and profitably. Lantek is a global company with a local approach. The aim of opening this office is being closer to its customers and partners and being aware of their requirements and needs in order to improve their productivity and efficiency. Lantek opened its first local office in March 2017 in the city of Sharjah to support a growing number of customers using Expert, CAD/CAM Nesting software, who have been supplied their licenses by several Machine Tool manufacturers distributing their machinery in the UAE. With this new presence, the multinational software solutions developer for the global sheet metal industry is extending its international reach by investing in a high-potential market. In 2016, Lantek expanded its business focus to include the full suite of Lantek Sheet Metal Solutions, including Manufacturing Resource Planning (MRP), Enterprise Resource Planning (ERP) and Manufacturing Execution Systems (MES) in addition to its CAD/CAM Nesting software. Lantek, as a provider of solutions for the sheet metal industry, has not shied away from the challenges faced by industry. “During the next few years at Lantek, we will be dedicating our attention to our clients’ digital transformation. We are on the verge of the fourth industrial revolution, which will change production. The process digitization embedded in Industry 4.0 will be a decisive moment in the market for both end clients and software developers. Lantek “knows the way” that allows companies to move towards Industry 4.0 and become more competitive. In addition to tailoring our processes and solutions to the demands, we are committed to growth and support our customers’ digitization processes and help them tackle this transformation as effectively as possible”, declares Alberto Martínez, Lantek CEO. Lantek ’s goal is to arise awareness on the concept of “Advanced Manufacturing” in UAE becoming a trusted technological partner for the sheet metal industry in the region. Its degreed consultants and engineers have extensive hands-on experience being reliable advisors in this industry. Lantek is a software company providing CAD/CAM/MES/ERP software solutions for the sheet metal and structural steel industry, completely developed in our R&D center. Lantek was founded in 1986 and its headquarters is in the Alava’s Technological Park, 9 kilometers north from Vitoria-Gasteiz (Basque Country-Spain). From that moment on, it has continued to expand all over the world and is considered now the world leader in CAD/CAM software for oxy-fuel, plasma, laser, water jet, and punching, and pioneer of the on-demand Management Software solutions (MES/ERP). As a result, over 20.000 customers in more than 100 countries trust Lantek in their daily work. We develop software solutions for the sheet metal and steel fabrication industry, giving value to the customers, employees and shareholders through the consolidation of a global team with the highest technological innovation capacity. Be the leaders and the worldwide reference, with a global focus, in software solutions for the sheet metal and steel manufacturing industry. 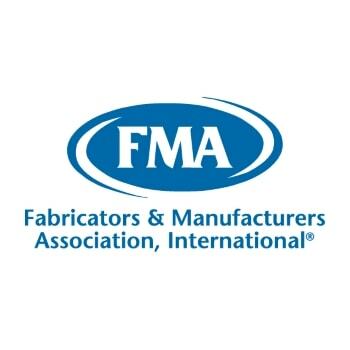 The Fabricators & Manufacturers Association, International (FMA) is a professional organization with more than 2,300 individual and company members working together to improve the metal forming and fabricating industry. This is the Lantek path for the Digital Transformation of your company. A path in search of the optimization of costs and processes through smart automation.